Nicholas Pescod attended Centennial College’s journalism program in Toronto and graduated in 2012. Pescod currently contributes to the North Shore News in North Vancouver, British Columbia as an entertainment writer. He has previously interviewed Lights, Cody Simpson, Austin Mahone, Tori Kelly, Jesse Cook and others. Aside from his background in journalism, Pescod has worked for a Washington, DC based public relations firm. 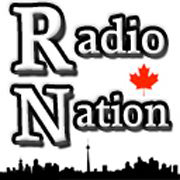 Jenna Cocozziello joined the Radio Nation staff in late February of 2012. 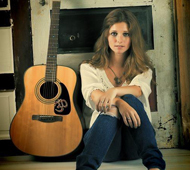 She attends Winter Park High School in Winter Park and is a passionate music enthusiast. Cocozziello currently interviews musicians from the Orlando area and reviews albums. She aspires to have both music and journalism in her career for life. Charlotte Blackwell is the author of the bestselling young adult book series, Embrace. The series contains four novels and she’s currently working on another. She has been writing professionally for about four years and has contributed numerous articles to the Yahoo network. Blackwell attended Bow Valley College in Calgary, Alberta. Nathanael Hall graduated from Cunnigham, Tennessee's Montgomery Central High School in 2011. He is currently a sophomore at Austin Peay State University in Clarksville, Tennessee, studying Journalism. He hopes to begin a career in freelance journalism after graduation, eventually starting up a magazine focusing mainly on underground music and undiscovered artists in an attempt to shed light on commonly overlooked, talented artists.